Everyone likes a nice surprise. I got one last week. It was in the form of a CD that was sent to me out here at BLUES JUNCTION. It was from a guy named Patrick Recob. straight onto the turntable and I went straight over to my listening chair. The CD packaging remained off to the side, as I don’t like to prejudice myself with any prior knowledge of the recording, the musicians, the songwriters or the producers. Very often this listening experience doesn’t last long as some recordings are just not my cup of tea or just stink or both. I then move on, as life is too short, too beautiful and too precious to listen to bad music. However right out of the shoot I was mesmerized by what I heard. This CD was just dripping with a vintage Americana cool. I couldn’t stand it anymore and I paused the recording long enough to find out who was responsible for making my afternoon so delightful. 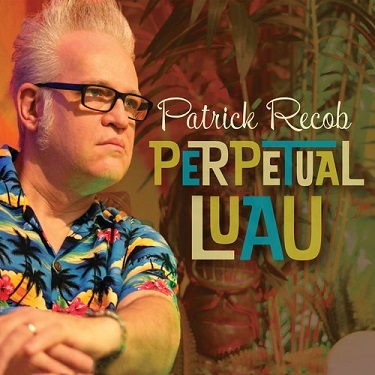 Patrick Recob is a bass player and, as it turns out, a terrific vocalist and songwriter who recorded an entire album in Oceanside, California, at Nathan James’ Sacred Cat Studios. Nathan even plays guitar on most of the album. Laura Chavez played on three of the album’s thirteen tracks. The ubiquitous west coast drummer, Marty Dodson, is heard playing here and wonderful contributions are made by percussionist extraordinaire Mike Tempo. The great James Harman has his fingerprints all over this recording as well. He blows harp on three tracks and, along with Nathan and Patrick, is the album’s producer. He even closes out the proceedings with a spoken word reading of a Recob original. I reached out to Patrick Recob to thank him for bringing such joy to my afternoon. We talked about this recording and his career in music. David Mac (DM): Greetings Patrick. Congratulations on the new album and thanks for getting that into my ear holes. When I saw the album cover art I raced into the bedroom and started to do an inventory to see if any of my Hawaiian shirts were missing. Everything seemed to be in order so I’ll ask you, is this your first solo album? Patrick Recob (PR): It sure is. It is my first crack out of the gate. I have played on a lot of albums, but this is the first time I’ve recorded under my own name, with all original material I might add. I was a big part of Hank Mowery’s 2014 album, Account to Me that won an IBC that year for Best Self Produced Album. That record had some of my original tunes on it, but yeah this is my official debut. DM: Let’s back up a minute and share with our readers, who may not be familiar with your career, some background information. PR: Well I was raised in Topeka, Kansas, but have been living in Kansas City since 1992. I’m 53 years old. I played with Gary Primich around the time his Mr. Freeze album came out. 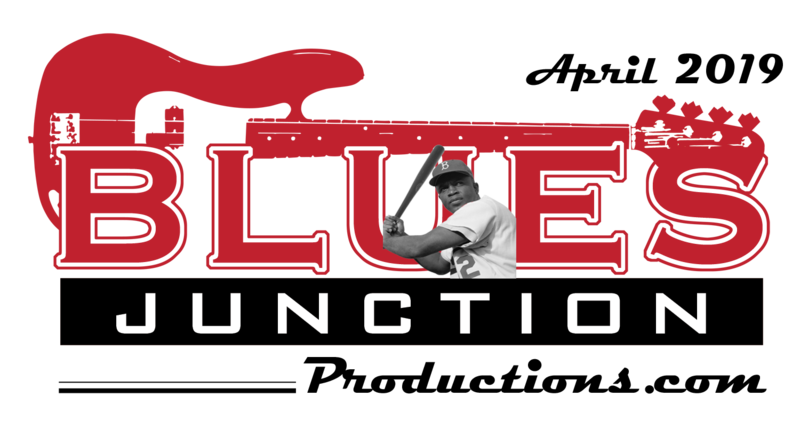 PR: Exactly...I started playing with Lee McBee in 2005 up until his death in 2014. Since then I’ve played with a lot of folks. PR: Junior Watson, R.J Mischo, Adrianna Marie, Joe Kubek, Nick Moss and of course, most recently, Hank Mowery. DM: How did your association with James Harman come about? PR: He came out here a couple of years ago and he started using me on some gigs in this part of the country. As I’m sure you know, his main bass player is still Troy (Sandow), but James and I have spent a lot of time on stage and on the road together. He then told me I was going to make a record whether I wanted to or not. He said he would produce it and use Nathan and the guys out in California to play on it. So here we are. DM: That must have been quite an experience playing with those cats at Sacred Cat. PR: To work with those guys was a dream come true. Harman has always been very important to this music and to me. He taught me so much in the studio that I grew as a performer. Harman is a mother lode of information. All the guys were so encouraging to me that when my own mother heard the record she couldn’t believe it was me singing. DM: You even got James to do one of those spoken word pieces that you wrote. PR: Then you throw Tempo in on that...WHOA! PR: I wrote that for my wife. DM: Strong stuff there my friend...what I find so interesting about the album is that you hit on a variety of sounds, styles and textures from a cool instrumental, to an acoustic number to a Magic Sam style tune, just to name a few of the stops you make along the blues highway, but it doesn’t sound like you are just trying to throw random styles and sounds up against the wall to see what sticks. There is a real cohesion to the entire project that really works. PR: Well maybe it is due to the fact that I work very hard to bring honor to the tradional grooves and the cats that made them. Playing with Gary Primich helped me to get acquainted with the sounds of Texas blues. Then all those years with Lee McBee gave me a little of a mid west sound and then I go to California and get mixed up with Nathan and Harman which gives it a little West Coast blues vibe. I tried to throw as many regional styles that I could at the thing and yet remain traditional and authentic. I should also mention that for me the sun rises and sets with Willie Dixon and Magic Sam. DM: That doesn’t hurt either. I have to ask you about the concept of the Perpetual Luau. I love that album title and what it represents. PR: I like to remind people, “That for some, life’s a party, for others it is a perpetual luau.” I mix everything together with a whole 50’s exotica and beatnik vibe. However, if you listen to the lyrics you will find some serious business is going down. On one hand I wanted to make this record with a cool, hip vibe and on the other hand it is a lesson in faith, hope and redemption. I’ve tried to put it all together. You have this Tiki exotica vibe, but when the album starts with Frustration Bluses, the listener realizes something heavy is about to go down. DM: You know Patrick “faith, hope and redemption” is what the blues is all about and that might be a pretty good short answer to anybody asking that million dollar question, ‘What is the blues?’ It has been great to meet you this afternoon. PR: I’m very grateful and appreciative of this exchange. Thanks Dave for taking an interest in my music. It means a lot to me.